Combining three pedals into one convenient and clutter-free unit, the RPU-3 offers a real grand piano pedalling experience. With separate 1/4" outputs for each of its three pedals, the RPU-3 is compatible with keyboards such as Roland's new FP-7F and RD-700 series pianos. 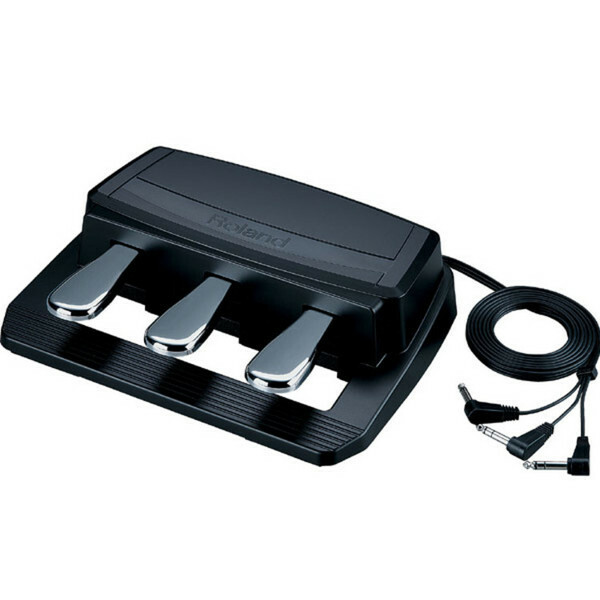 In addition to providing the same pedal configuration as a grand piano, the RPU-3 also provides hands-free control of various instrument functions, such as the FP-7F's Looper and harmony effects.